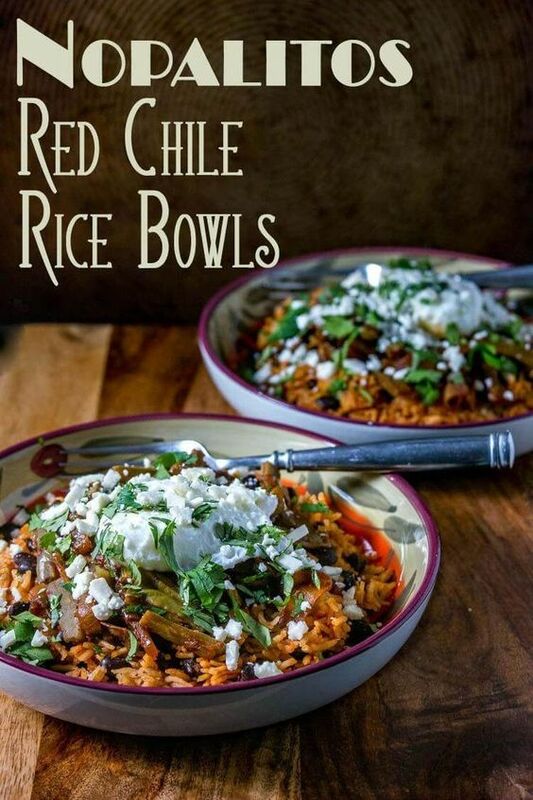 A healthy vegetarian dish that features caramelized onions, nopales and red chile over top of black beans and rice. The dish is then garnished with a runny egg, crumbled cotija, and cilantro. Buen provecho!